Back-to-back events always keep the paddock on their toes and after a frantic pack-up once the chequered flag fell in China, the show has arrived to entertain us once again in Bahrain. The Sakhir International Circuit served up a treat twelve months ago, as Lewis Hamilton and Nico Rosberg fought a race long battle for supremacy in epic fashion. It was a duel featuring sublime wheel-to-wheel action, strategic intrigue and a bead or two of sweat on the Mercedes pit-wall. The 2015 Bahrain Grand Prix certainly has a lot to live up to, but with Ferrari hot on Mercedes’ heels, Sebastian Vettel and Kimi Raikkonen will hope to make it a four way tussle for the top spot on Sunday. The first Bahrain Grand Prix was held in 2004, with victory heading to Michael Schumacher, as was so often the case in the 2004 season. The 5.4 kilometer circuit has been used for all but one season, as in 2010, the lap length was significantly increased as sector two was expanded to feature a rather tedious slow speed section encompassing nine additional corners. Pedro De La Rosa holds the lap record for the circuit – a 1:31.447 set in the MP4-20 in 2005. Robert Kubica’s first and only Pole Position was recorded at the circuit in 2009. Fernando Alonso has won three previous Bahrain Grand Prix. Victories came in both of his title winning season’s as well as in his first outing for Ferrari in 2010, when a cracked exhaust robbed Sebastian Vettel of an opening round victory. 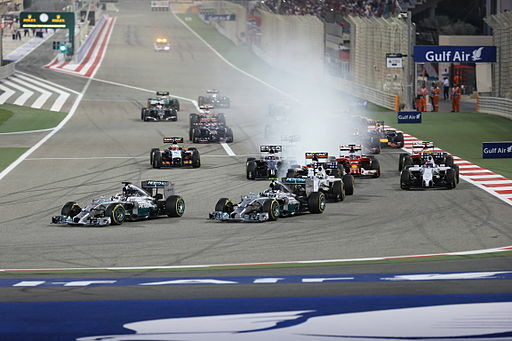 2014 saw the Bahrain Grand Prix become a night race – the second to join the calender after Singapore. (Abu Dhabi is considered to be a twilight event). It was a true classic. The 2014 Bahrain Grand Prix had everything, including the ability to place fans across the world on the edge of their seats – or even behind the sofa. The duel between the two championship rivals was certainly of an awe-inspiring intensity as for the first time in 2014, the gloves came off and the battle to define a season took off. Lewis eventually edged out Nico, with a monumental effort on the prime compound tyre in the final stint, where he managed to halt the advances of his teammate on the option rubber. Meanwhile, numerous inter-team fights down the field maintained the intrigue when the two pace-setters drew for breath. Daniel Ricciardo established himself in his new team, as Vettel was handed the message to “let Daniel through” when on a different strategy – a call which ultimately set the tone for the season. Elsewhere, Force India scored their second ever podium, as Sergio Perez held off a fast charging Ricciardo in the closing stages to claim P3. I’m improving folks. From a dismal 19 points in Australia, the improvement in Malaysia has been followed up by yet another points boost in China, as I scored 45 points in last weekend’s Autosport’s GP Predictor. 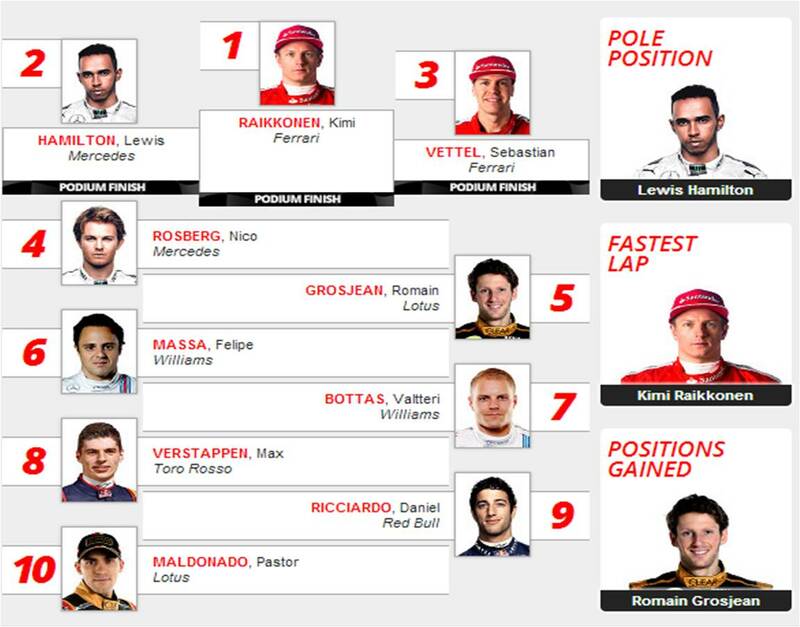 On the basis of the form guide, the safe choice would be to predict a Mercedes victory in Bahrain, however, round four has seen me make my boldest prediction of 2015 thus far – Kimi Raikkonen to win on Sunday. Ferrari were mighty in Malaysia and in Australia, they posted some hugely impressive times during the race, yet time lost in the Williams battle ultimately resigned Vettel to P3. Their performance in China may have been underwhelming on the back of such an incredible weekend at Sepang, but their overall race pace still impressed me considering that the Shanghi International Circuit should theoretically be one where the SF15-T is least optimised. As such, with warmer surface temperatures expected in Bahrain, another Ferrari win is perhaps not implausible. Despite his fair share of misfortune in the opening three rounds, Kimi has demonstrated all the hallmarks of a race winner in 2015 and at a circuit where he twice finished in second while at Lotus, this could be the Finn’s weekend. Elsewhere, I anticipate that Lotus will also be hugely competitive, as their performance in China suggested that they could threaten Williams in the near future. Meanwhile, Max Verstappen looks ready to establish himself as a regular points scorer in 2015, if of course, his car can complete the full 57 laps on Sunday – a feat which has twice proved a bridge too far for the Renault powered STR10. As always, I would love to hear your thoughts ahead of the Bahrain Grand Prix weekend. 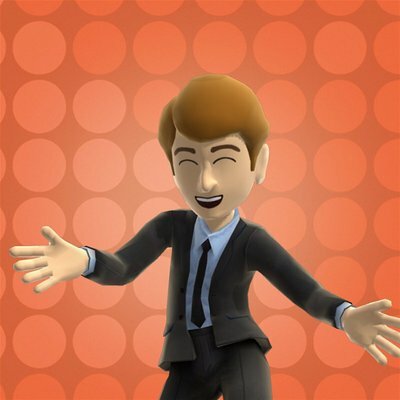 Why not tweet me, @KGibbsGP, or leave a comment below. Image Credit: "First Lap 2014 Bahrain Grand Prix"